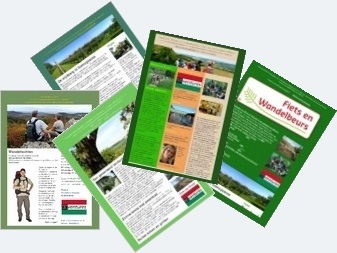 Why we, Annerie and Jean, give you a holiday in Hungary that you will not soon forget. A country that you do not think quickly, but that is still very interesting to do once. Especially for Walking, Painting or just Relaxing. Come to Hungary! Do you paint? Then I have something special for you! But if you walk, this may also be interesting for you! You love nature, tranquility, but also culture and history. During your holiday you also want to do something, meet new people, and enjoy a wonderful time with like-minded people in a beautiful setting, unwind, or recharge the battery! We (Annerie, Jean and our Artventures-Team) will offer you exactly what you are looking for. Hungary is the ideal holiday destination that will make you experience a holiday that you will not soon forget. For the seasoned hiker and artistic artist, Artventures offers you a wonderful holiday, but also if you are alone with friends or your whole family for example 3 weeks rent one of our holiday homes. For the most pampered walker we have hundreds of miles of hiking trail ready in the most beautiful nature areas of Hungary. 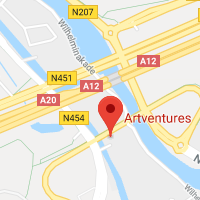 Moreover; Artventures is located right in the middle of the Koppányvölgy nature park. 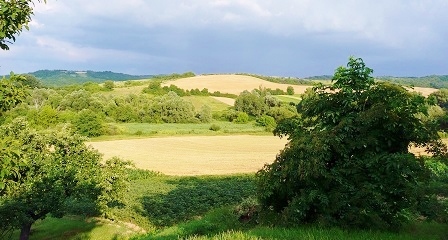 A protected nature reserve of no less than 16,500 hectares along the Koppány creek. But we also have hiking areas on the Tihany peninsula in Lake Balaton, the caves at Ságvár, or around Lake Deseda near the provincial capital Kaposvár. 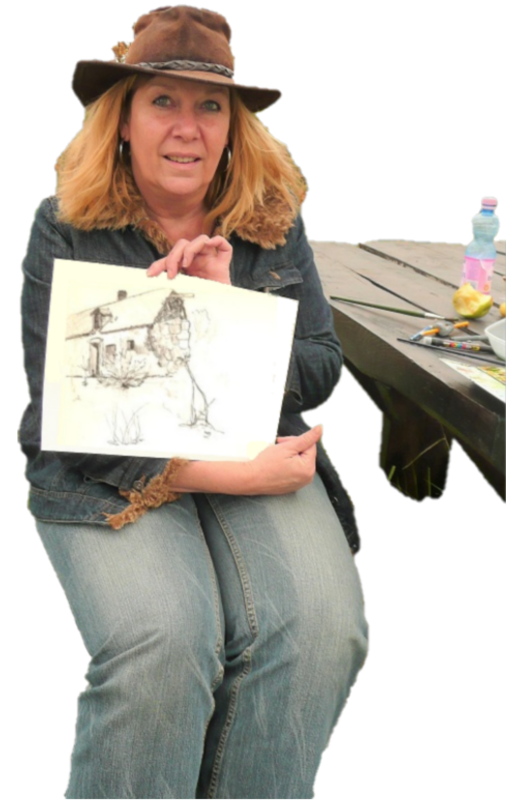 Also to paint on Tihany or to create 'art' along the banks of Lake Balaton is of course the ideal place. You will also find a true artists' village on the north side of Lake Belső-tó. Different artists have their studio/workplace here. You are at a painters' association or art circle, advanced or beginner, that does not matter. Annerie takes you into your artistic development and at the end of the week you even exhibit your created work during a real exhibition where both locals and emigrated compatriots come to watch. You are proud of your work and return home with a happy feeling. Do you paint? then I already have a nice and free gift here for you. "Making sketches during your vacation"
news about painting holidays to Hungary. ly, and we keep you informed! What do our guests think of Artventures? 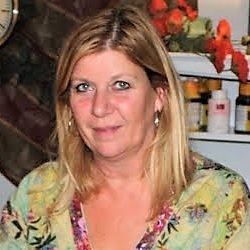 Hi, my name is Jean and I am the hiking guide in Hungary for group hiking holidays. Even if you want to walk individually or do a complete hiking trip (round tour), you are here at the right spot. Do you like to walk in a company of a group and chat along the way, together with something to eat and drink or do you feel more for an individual walking holiday? A holiday where you determine how your daily schedule is, how long or fast you walk, when you take a break and decide for yourself how your walking route looks like. Walking within the safety of a group has its advantages, of course, but an individual walking holiday or walking tour is certainly also. I organize it all for you in Hungary. 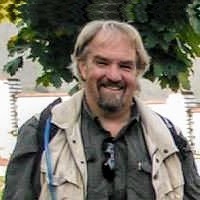 Enter your E-mail now then I like to keep you informed about our hiking adventures in Hungary and I give you occasional free walking tips. ....how do you explain what you felt when you first came to this place here. Annerie makes an attempt to explain it. Hungary was not yet affiliated with the EU. 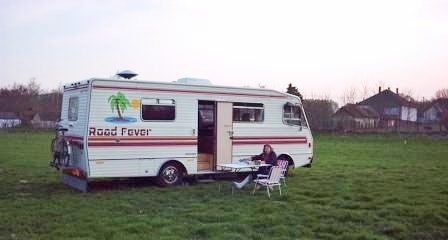 It was April 2003 and we went through Hungary with our 25 year good old Daf camper. 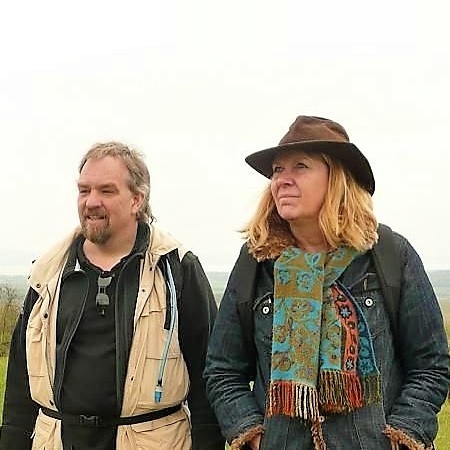 We have looked at many facets of the Hungarian landscape. And at this place here in Somogy province we were in love right away. The view phenomenal and the climate wonderful. 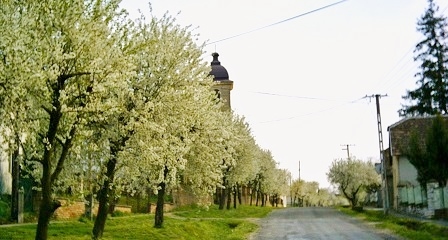 Streets full of flowering cherry trees, villages in the rolling landscape, as well as the village of Somogyacsa. The artist's eye saw and our hearts felt that this was the place! A place to come to yourself, to enjoy silence and nature. Very suitable for family holidays (7 children), because you a) on one hand enjoy the silence and nature around you and b) if you are looking for entertainment, Lake Balaton is only half an hour away. And Somogyacsa is five miles from Igal, where a medicinal Thermál spa rises from the earth, so there is a nice wellness center built. Here we are so aware of the nature around us and we do our best to live as pure as possible. With respect for nature, we use as many locally grown and made products as possible. We also give our fellow villagers a warm heart, with whom we always work together as much as possible. Now Artventures (Annerie) rents the authentic farms as holiday villas for different holidays. That's why...Hungary, and then I'm not talking about the hospitality of the people and the very affordable restaurants. As a holiday country, Hungary is booming, and certainly not inferior to countries such as Italy, Spain or France. So whatever you are going to do in Hungary. With us you are always good. Make your choice and book your trip! Fun! We are happy to help you. Do you have a question? For example about one of our creative trips? Or do you want advice on which trip suits you best? We are happy to help you. Nice even!